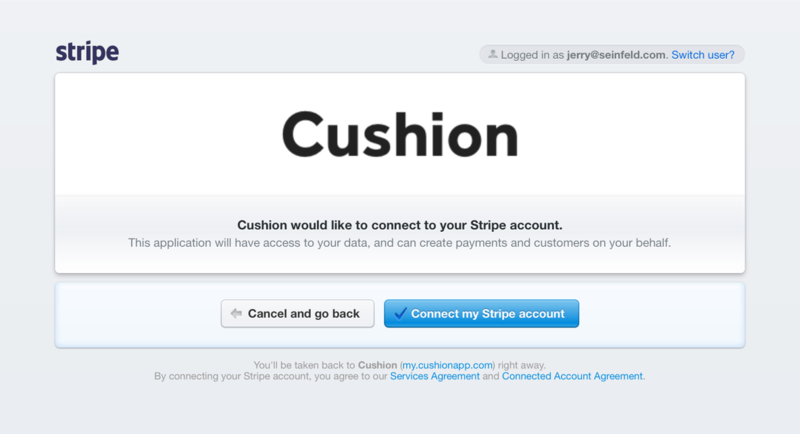 To begin accepting card payments with Stripe, you first need to authorize your Stripe account with Cushion. Start by going to the Add-ons section under the dropdown menu in the top right. At the bottom of the Add-ons page, you’ll find an option to connect with Stripe. 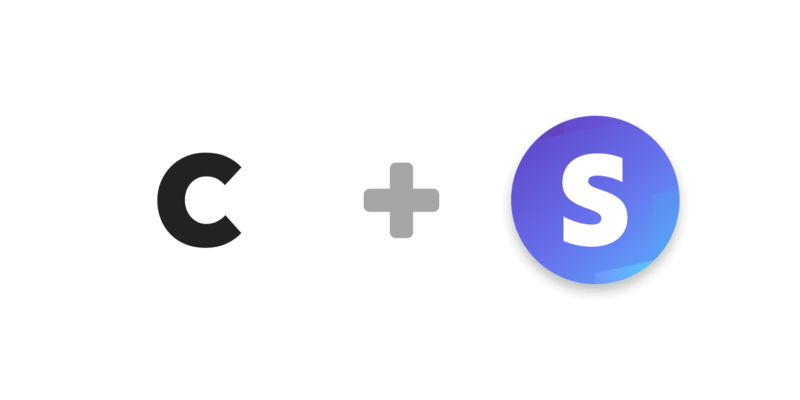 Click the “Connect” button, which will initiate Stripe’s authorization process. Stripe will ask you to connect your account with Cushion. Click “Connect my Stripe account”, which will confirm the authorization process and redirect you back to Cushion. 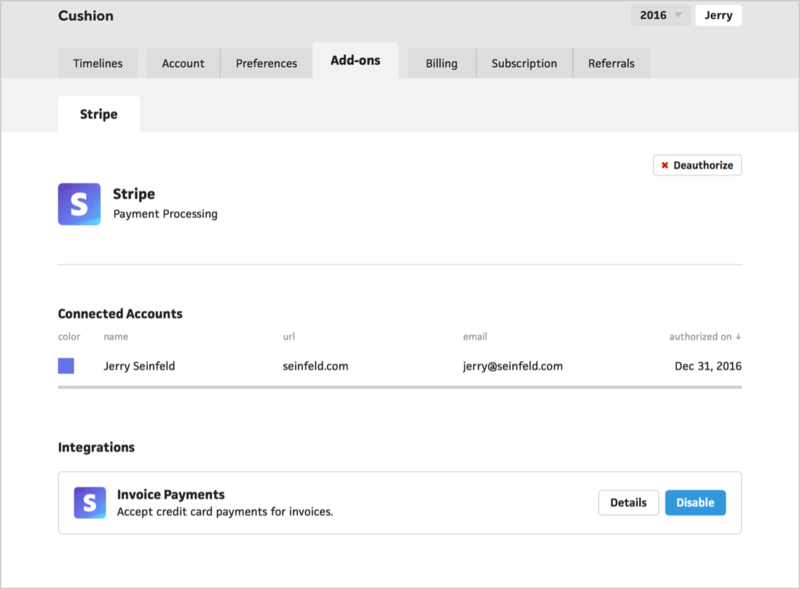 Upon authorizing your Stripe account, Cushion will automatically enable the Invoice Payments integration.